The Gorno-Badakhshan Autonomous Region (GBAO) of Tajikistan, also known as Pamir—a namesake of mountains, occupies about 40 per cent of Tajikistan’s territory, i.e. about 63,700 sq. km. The region borders on Kyrgyzstan in the north, China in the east and Afghanistan in the south. The Pamir mountains are known for their wealth of natural resources, hence the interest of many countries in it with China, Tajikistan’s immediate neighbour, being the first in line. 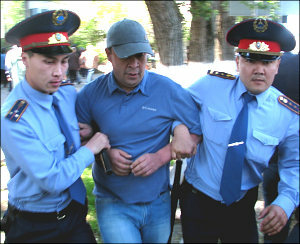 Street protests, against plans to step up land privatisation, were broken up by police in many of Kazakhstan’s largest cities on Saturday. 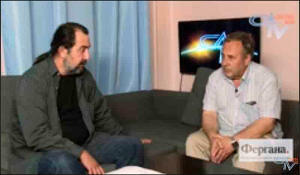 The demonstrations were organised by informal on-line networks, rather than by any of the recognised opposition groups. Here are key points from a report by Andrei Grishin (Almaty). 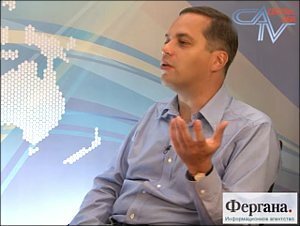 We discussed Russia’s “southward turn”, a much-discussed topic lately, with Vladimir Milov, a well-known Russian economist, politician and Demokraticheskiy Vybor Party Chairman. After all, the roads to “long monies” that are vital for any economy’s survival are closed in the Europe-bound directions. These “road” will likely remain inaccessible for a long time, and the world does not have too many other alternatives to offer. What benefits and risks does this southward repositioning has to offer? What are our southern neighbours’ perspectives in terms of cooperation with Russia? 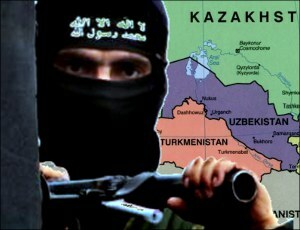 Do it entail benefits for them, including the Central Asian nations?.. Obviously, no realistic country would build gas pipelines to leave them empty. 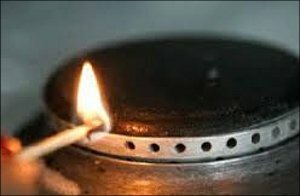 Consequently, when the fourth branch of the Central Asia—China is filled with eastbound gas, Uzbek citizens and residents will get less fuel. 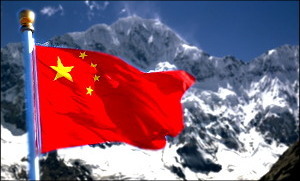 The appetite of the energy-hungry economy of China is constantly growing. The appetite is being satisfied by energy pumped out of Central Asia, leaving its residents in cold every winter. The Xinjiang Autonomous Region (XUAR) has been unstable over the last several years: Some in the local Uighur population are unhappy with the way the Chinese authorities are handling the region and are demanding independence from Beijing. 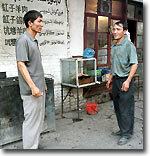 Armed clashes between the Uighur population of the region and the Chinese authorities often take place in XUAR. But who actually is behind all these terrorist acts? Could one be expecting a Hong Kong-style scenario in XUAR and Tibet? 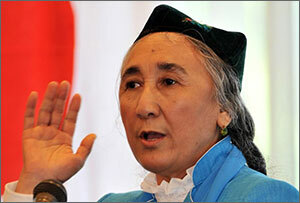 Rabeya Kadeer, the currently exiled leader of the Uighur opposition, spoke with a reporter of the Kazakh weekly magazine ADAM bol (Guljan Yergaliyeva, editor in chief) over the phone from Washington D.C., USA. Visiting China on June 6-7, Uzbekistan’s president Islam Karimov secured trade, investment and loans worth at least five billion US dollars and signed an strategic partnership treaty. While in Beijing, Karimov also attended a summit of the Shanghai Cooperation Organisation, SCO, a bloc consisting of Russia, China, Uzbekistan, Kazakstan, Kyrgyzstan and Tajikistan. NBCentralAsia asled Kamoliddin Rabbimov, an Uzbek political analyst based in France, about the shared security concerns and economic interests that feed China’s growing relationship with Central Asia and Uzbekistan in particular. In a backstreet of the old Silk Road city of Kashgar, Chinese authorities have been spray-painting signs on dusty mud brick walls to warn against what it says is a new enemy -- the Islamic Liberation Party. Better known as Hizb ut-Tahrir, the group says its goal is to establish a pan-national Muslim state, or Caliphate. China says Hizb ut-Tahrir are terrorists operating in the far western region of Xinjiang, home to some 8 million Muslim, Turkic-speaking Uighurs, many of whom chafe under Chinese rule. EU-Central Asian forum opened in Ashkhabad. Foreign ministers of Turkmenistan, Uzbekistan, Tajikistan, Kazakhstan, and Kyrgyzstan will discuss the Central Asian Partnership Strategy with EU commissars. The document defining the strategy is somewhat amorphous but it is better than what Russia has which is nothing. Russia does not have any strategy with regard to Central Asia at all. Its structures and companies operate solo, competing among themselves and inevitably losing to external rivals and first and foremost to China. State Council of the People's Republic of China published a report on human rights in the United States in 2007 on March 13, 2008. This document is Beijing's reaction to appearance of the Report on human rights in the world the US Department of State posted on its web site on March 11. The American report includes the traditional accusations of China and other countries, unfair more often than not. This is the ninth year in a row that China drew a report on the state of affairs with human rights in the United States itself. In the final part of the essay Ferghana.Ru readers will be told of where the Chinese yuan is best converted into other monetary units, what the difference between Chinese Kyrgyzes and Kyrgyz Kyrgyzes is, what Chinese cabs in Kashgar are, what meals in Kashgar are available, and many other interesting details and nuances of the travelling to one of the most ancient cities of China.